These set of pictures are the pride of Calbayog City when it comes to it's nature beauty, which is still on the heart of every waraynon. "Kasumo pa gad ada sini nga mga manggad ta, pero sahid mo na ba sira kabisita biskin ikaw aanhi la?" 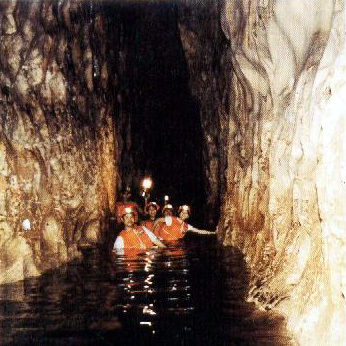 GUINOGO-AN CAVE - situated at the fringes of Brgy. Lungsob, Oquendo District, is 17 kms. Poblacion, 15 minutes hike from the barangay. It's cathedral door-size entrance leads one to wade the fresh, cool water into a natural tunnel stretching through uneven ceiling touching one's head, giving the adventurer an eerie trip through the dark cave lighted torches. 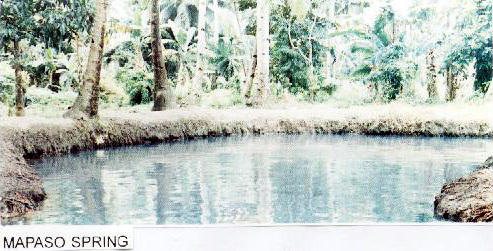 MAPASO SPRING - Located at Brgy. Rizal II, Oquendo District. Nature gives its life in the form of fresh crustaceans (pokot) of red appearance which ordinarily resembles the tint of a scalded shrimp. As the name suggests, (Mapaso literally means hot) it is a hot spring with the consistency of a boiling water. 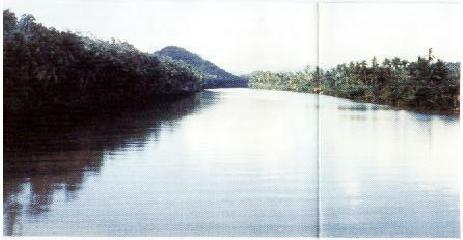 EL RIO DE HIBATANG - The biggest navigational river reaches the hinterlands of Oquendo's left and right river. Believed to be the gateway to the mouth of Calbayog River, artifact and other archeological relics were found along the river bank. 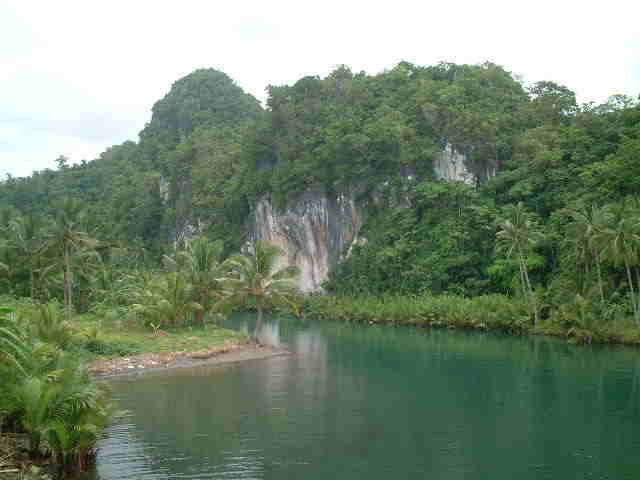 THE STONE-MARBLE MOUNTAIN OF MALOPALO - Tinambacan District, stood its grandeur to house the many caves underneath. 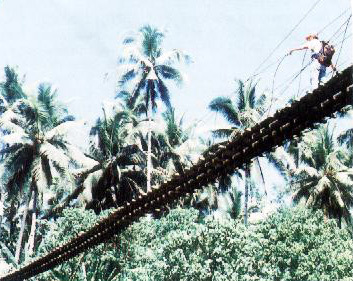 Tourists and adventurers have found the caves well preserved for over a hundred years now. MALAJOG BEACH - it is surrounded with towering rocks at its south and three balconied cottages. The beach gives a south sea island touch. It takes 35 min. ride from the city proper. It is one of the most visited and most beautiful beaches in Samar island. 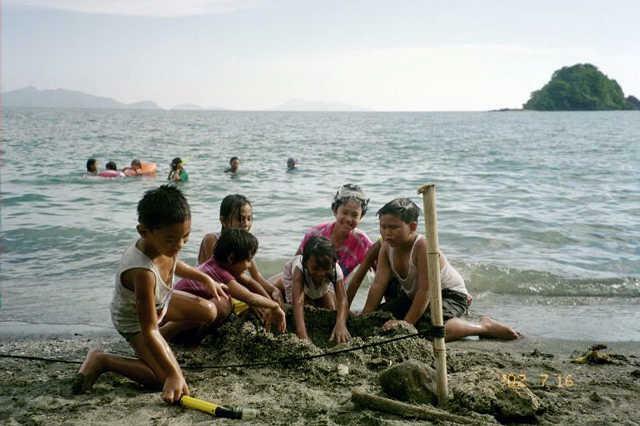 Malajog Beach located at Brgy. Malajog is also known as Look Beach. It is one of the most beautiful and spectacular scenic spots that is worth visiting, located at Brgy. Tinaplacan, Tinambacan District. A hour and 15 min. 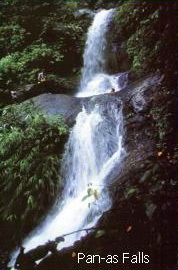 ride and 45 minutes walk to the vicinity of the falls, Bugtong falls has a circular pond of about 30 meters in diameter, wide enough for diving. The water that falls from above seems to come from an endless stream which flows a swirling path around the falls resulting from the pressure of its disgorge which becomes even bigger in volume and noticeables as the time of day passes.